On July 29, 2008, Berwyn Heights Mayor Cheye Calvo was out walking his two Labradors. As he approached his porch, he saw a package that had just been delivered to the house. He reached over, picked it up and took it inside. Little did he know what was in the package, or what was about to happen next. Prince George’s County law enforcement knew that the package contained drugs, and suspected the mayor or a family member was involved in drug dealing. A police SWAT team was not available, so a deputy SWAT team took over. Some of the deputies thought they had a “no knock” warrant, but the police had actually not requested one. They stormed the house without announcing themselves, killing both dogs in the process. Mayor Calvo sued the County, and the parties have reached a settlement on the eve of trial. The terms of settlement are confidential, but — kudos to the Mayor — the settlement included two provisions. First, Prince George’s County law enforcement must change how and when they use SWAT teams. Second, they must focus on more humane treatment of companion animals. On one hand, I would have loved to have seen this case go to trial, for no other reason than to allow Maryland to weigh in on whether it is time to treat companion animals like more than mere personal property. But had the Mayor prevailed at trial, he would not have gotten these two very important considerations addressed. I will be anxiously awaiting how Prince George’s County addresses companion animals in the wake of this law suit and settlement, and whether the changes they make can be applied to the many, many other cases of law enforcement shootings of companion animals. We may get another shot at changing Maryland law. I’ll be keeping my eye on what happens with the Jenkins lawsuit filed in Frederick County, Maryland. Categories: Pet Owners, Pounds, Animal Control Officers and Law Enforcement | Tags: animal rights, criminal law, damages, dog shootings, legal status, owner responsibility | Permalink. No person is being held accountable. Internal investigation cleared everyone. The settlement is confidential with promises of doing better. How can that be enforced? Confidential settlements are done all the time, and are enforceable. Hopefully the settlement has specificity, such as benchmarks, that the County has to meet. Cases like this are incredibly difficult for plaintiffs, considering proof issues, sovereign immunity, etc. I can hardly blame Calvo for settling, and I give him credit that he did so thinking about more than just dollar signs. Agreed, Martha. I’ve been quite proud of our two local police departments — Alexandria and Arlington — on the strides they have made training officers about mental health concerns, and I’ve seen direct benefits, including in a specific case I’ve been working on for years. 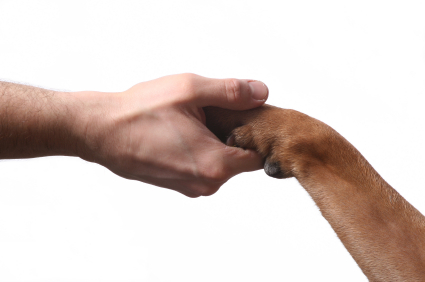 There’s no doubt training can go a long way with both mental health and companion animals. You are so right about the adrenaline rush, the unknown, and how this can all lead to tragedy. Training goes a long way to at least take away some of the unknowns and give officers the tools to respond differently and better. In many publicized cases, the dogs are shot when not a threat in theory to prevent a threat. The officers are said to be within department policy. As a tax payer, do I have a say in that policy? We all have a say! Policies are — for better or for worse — in part “political.” We should all do what we can to influence better policies.